It’s sad but true – many of the best jobs aren’t advertised anywhere. When most companies have an opportunity, they first look to the people they know, or people who are recommended by people they know. That’s why networking is so important for job hunters – making and maintaining good contacts will open up the door to a wealth of career opportunities that you won’t find on the job boards, now and in the future. So how do you network? Email: if you don’t have one, set up a suitable personal email address. A Gmail address is ideal as it’ll also give you access to Google calendar, document sharing and a host of other valuable Google services. Set up an email signature which shows your name, what you do, and your mobile number. You can also add in the URL of your blog and Twitter account (below). Phone: make sure you have a personal mobile number that you can make and take calls on. LinkedIn: set up a LinkedIn account and fill out your profile so that it reflects your best skills and experience, as you’d like them to be seen by prospective employers. LinkedIn will allow you to widen your network online. If you already have a job, be sensitive to how your current employer would feel if they land on your profile. Blog: if you don’t already have a professional blog, set one up. The easiest way to do this is to get a hosted blog at WordPress. A blog will allow you to discuss what’s going on in your industry, give your opinions and share some of your knowledge. Whether you’re working in software development or customer service, it will help you establish yourself as an expert within your industry. Be careful about how you display your email address on your blog – write it like jen [at] myemail.com for example, or use a contact form plugin (make sure it’s working properly). Otherwise you’ll get a lot of spam. Twitter: set up a Twitter account, and make sure your user name is professional e.g. your own name rather than a funny nickname. This allows you to tweet short posts about what’s going on in your industry with your opinions. It shows prospective employers that you’re up to date and on the ball. You can also promote your blog posts through Twitter. Business cards: you never know when you’ll meet someone you want to network with so always have some simple, quality business cards to hand. These will include your name, what you do, your email address and your mobile number. You might consider including the URL of your LinkedIn profile and blog as secondary information. Ensure you update your blog and Twitter regularly – 2-3 times a week and as fast as possible when there’s any significant news in your industry. Blog posts don’t have to be long but make sure every post you write would be something you’d show a prospective employer as an example of what you can do. The first rule of job networking is simple: don’t discount anyone. ”Every individual you meet [has the] potential to find you a job”, says Maxine Martens, CEO of Martens & Heads, a headhunting agency for the fashion, retail and beauty industries*. Job networking should start with people you already know – friends, family, colleagues (past and present), and acquaintances. Make sure they’re aware of what you do. Even if they aren’t in the right industry, people really like to recommend others and if they hear of a suitable opportunity, it’ll be your name that rolls off their tongue. Make sure friends, family, colleagues and acquaintances have your contact information (email and phone). Offer them one of your new business cards ‘in case they ever need to get in touch’ or add them on LinkedIn. Add them on Twitter and make them aware of your own Twitter account. Don’t forget people you’ve met previously, perhaps at conferences, exhibitions or training courses. These are all great potential contacts for your list. Once you’ve added the people you know, LinkedIn allows them to write recommendations for you. Ask past and present colleagues and people who have used your services to write a recommendation. This really helps to build your personal ‘brand’. When you meet someone interesting, introduce yourself by name and ask a few questions about that person, such as what they do and why they’re at the event. People almost always mirror your questions when they run out of things to say about themselves, and that’s your opportunity to explain what you do. Don’t jump straight in with a business card – try and exchange some thoughts on the event and what you’ve both taken away from it, enough for them to find you interesting and consider giving you some time in future. It’s easier to offer a business card at the close of the conversation, ‘in case they ever want to get in touch’. 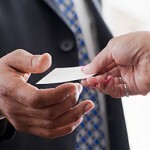 If they don’t have one to offer in exchange, ask if they’re on LinkedIn – most business professionals are – and as a minimum, make a note afterwards of their name, company and position because it shouldn’t be too hard to find their contact information on the web and you can remind them of your meeting if you ever have a need to get in touch. With the growth of the Internet, people forget how important offline job networking is. ”A lot of people kind of think that online job networking is an end in itself, but it’s really a means to an end,” says Stuart Schultz, coauthor of The Gradspot.com Guide to Life After College*. Nobody is going to hire you unless they’ve met you – online networking is just a means to meet people offline, so if you can meet them directly, it cuts out a step in the chain. Industry-related conferences and exhibitions – there are often job networking opportunities after the conference/exhibition where exhibitors, speakers, attendees etc get to mingle – these are great job networking opportunities. Local business groups and clubs – Google ‘business networking’ and the name of where you live (or the nearest big town or city) and you’re bound to find groups of like minded people who meet regularly in your local area. Seek out the leading voices in your industry and find them on LinkedIn and Twitter. Follow them and interact with their tweets as often as you can. Also look for other professionals in the industry and do the same. Don’t be worried about competition – for example, good SEO professionals should (and do) network with each other, sharing opinions and tips, and sometimes even customers! Search for forums in your industry, join these and join in the conversation. Don’t forget to set up your profile on the forum, including your contact information and blog address. Some forums also allow you to add a signature to each of your posts (sometimes this is enabled when you have completed a number of successful posts, e.g. 50). You can then include, for example, a link to your blog. Be careful not to put your email address online (such as in forum profiles or signatures) as this will get spammed. Look for blogs by the leading experts in your industry and make sure you follow them. Offer constructive comments on their articles, join in discussions and share good material through Twitter. When you post a comment, you’ll often be able to provide a link back to your blog (if there’s a ‘website’ box), but many professionals won’t allow your comment unless it’s genuine and useful – in other words, don’t spam! Don’t forget to fill in your profile and include links back to your other places on the Web. For every site you join, make sure there’s some way for people to contact you. 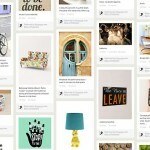 Create boards with Pinterest relating to your industry. These are collections of items from the web that you can share with others. Examples might be tools/software you can’t do without, or the leading articles/guides/websites in your industry. Share these on your blog and twitter. Create an account with Stumbleupon. Use this to share your blog posts but also recommend leading articles, guides and news in your industry. Customise your Stumbleupon profile, find and follow other stumblers that you might know or follow those with similar interests to you. Add a follow me StumbleUpon button to your blog encouraging your visitors to follow you. Sign up for Yahoo Answers, fill in your profile and answer questions relating to your industry. Cite quality websites/articles as your source of information (these can include your own blog but do mix it up as you may get banned otherwise). When you get to level 2, all links become ‘live’ and these links are valuable for promoting your blog. Add a link to your Yahoo Answers profile from your blog so people can see how you’ve helped others with industry related questions. Once you’ve established your blog and you’re confident that your name is starting to get known on the scene, offer to guest blog for other industry-respected sites. This means that you produce a quality article for them, for free, on an industry related topic. The best thing to do is write them a brief email, explaining who you are with a link to your blog and propose what the article will contain. If they accept, your guest blog post on their site will have your bio and usually a link back your blog.